A free update will let you make phone calls, set multiple timers, and use Siri Shortcuts. 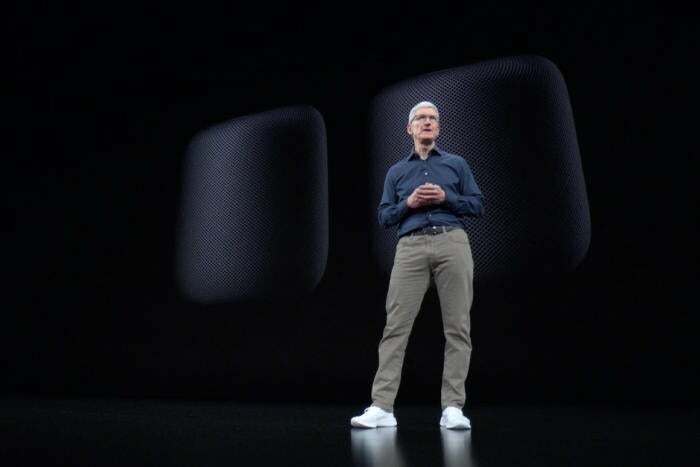 At Wednesday’s “Gather round” event, Apple announced that its HomePod wireless speaker will be received several new features in a free software update. The features mostly involve improvements to Siri, to further enhance the HomePod’s ability as a digital assistant. Song search by lyrics: HomePod users will be able to make song search based on the lyrics of a song. You can ask, “Hey Siri, play the song that goes…” and then you can state the lyric. No word on if the lyrics field in your iTunes library will need to be completed for this feature to work. Support for phone calls: Users can tell Siri via HomePod to call someone in Contacts, or to call a phone number. Apple says incoming calls are automatically directed from the iPhone to the HomePod, and ongoing calls can be moved from the iPhone to the HomePod using the audio picker. Siri Shortcuts: With the new Shortcuts app on iOS 12, you can create shortcuts that can be accessible through the HomePod. Shortcuts are a way to program an iOS device to perform one or a set of actions. Learn more about Siri Shortcuts. Multiple timers. One of the disappointments about the release of HomePod was its support for only one timer. The update will now allow for multiple timers that you can use for personal use or with HomeKit devices. Find My iPhone: Can’t find your iPhone? Now you can ask Siri on the HomePod, and it will ping the phone if it’s nearby. Apple also announced that the HomePod will be available in Mexico and Spain starting October 26. This story, "HomePod to get new Siri Shortcuts, phone calls, and other Siri features in upcoming update" was originally published by Macworld. Roman has covered technology since the early 1990s. His career started at MacUser, and he's worked for MacAddict, Mac|Life, and TechTV. He's also written for MacRumors and Realtor.com.